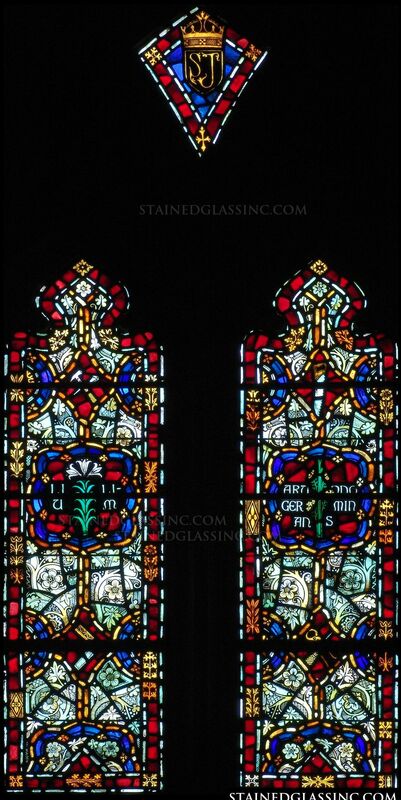 The white lily symbolizes purity and innocence and is the traditional flower of Easter. 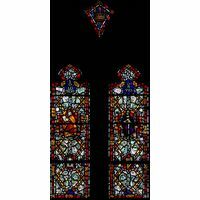 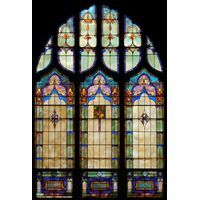 The three petaled lily, like the one depicted in this brilliant work of stained glass art, is also representative of the Blessed Trinity. 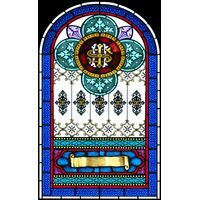 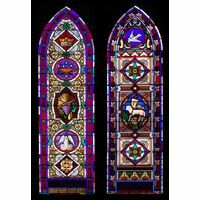 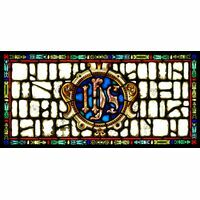 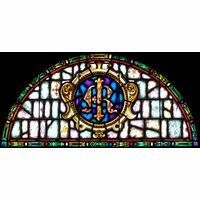 Honored in glorious stained glass, these beloved symbols come to life for all who admire the astonishing artistry, vibrant, moving color and varied textures of this stained glass tableau, arranged symmetrically in old world style to form this breathtaking work of art. 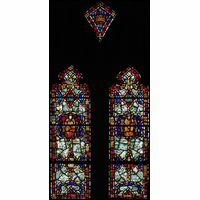 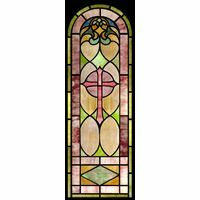 Reflecting and refracting rays of sunlight, candlelight or firelight in shifting shades and patterns as they dance along the surface throughout the day and after dark, this stained glass window fills every area with ethereal color and light. 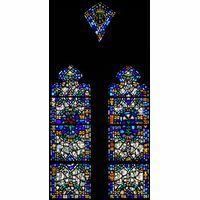 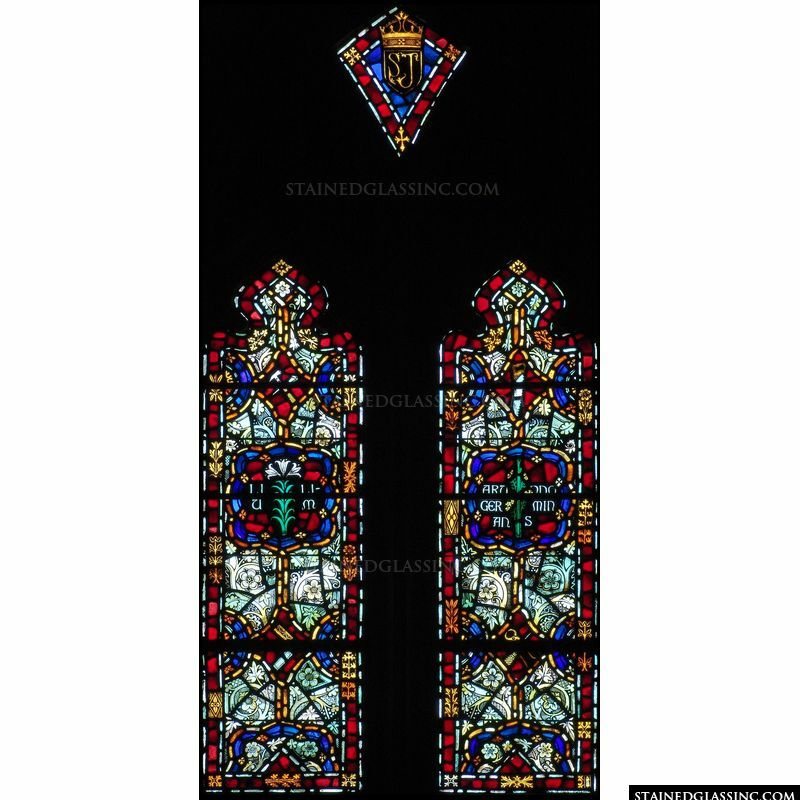 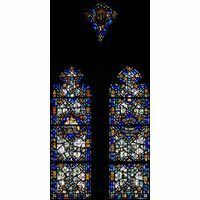 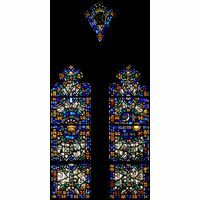 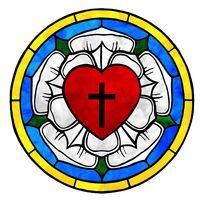 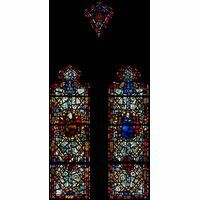 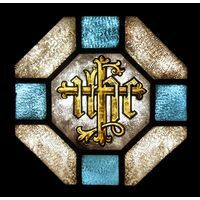 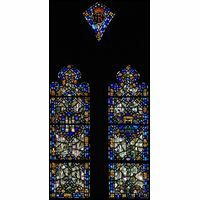 Perfect for enhancing and inspiring in church, chapel, shrine or cathedral, this versatile design also lends itself as a signature piece for home or business decor.